Got another little flood of mathematically-themed comic strips last week and so once again I’ll split them along something that looks kind of middle-ish. Also this is another bunch of GoComics.com-only posts. Since those seem to be accessible to anyone whether or not they’re subscribers indefinitely far into the future I don’t feel like I can put the comics directly up and will trust you all to click on the links that you find interesting. Which is fine; the new GoComics.com design makes it annoyingly hard to download a comic strip. I don’t think that was their intention. But that’s one of the two nagging problems I have with their new design. So you know. 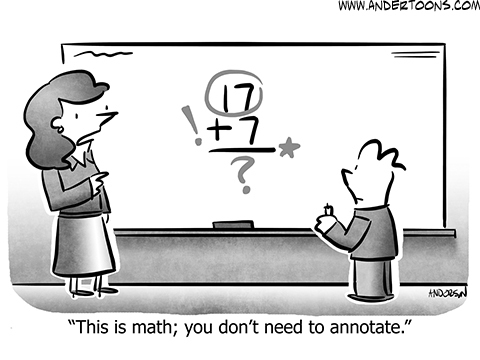 Scott Hilburn’s The Argyle Sweater for the 5th is the anthropomorphic numerals joke for this essay. Carol Lay’s Lay Lines for the 6th depicts the hazards of thinking deeply and hard about the infinitely large and the infinitesimally small. They’re hard. Our intuition seems well-suited to handing a modest bunch of household-sized things. Logic guides us when thinking about the infinitely large or small, but it takes a long time to get truly conversant and comfortable with it all. Paul Gilligan’s Pooch Cafe for the 6th sees Poncho try to argue there’s thermodynamical reasons for not being kind. Reasoning about why one should be kind (or not) is the business of philosophers and I won’t overstep my expertise. Poncho’s mathematics, that’s something I can write about. He argues “if you give something of yourself, you inherently have less”. That seems to be arguing for a global conservation of self-ness, that the thing can’t be created or lost, merely transferred around. That’s fair enough as a description of what the first law of thermodynamics tells us about energy. The equation he reads off reads, “the change in the internal energy (Δ U) equals the heat added to the system (U) minus the work done by the system (W)”. Conservation laws aren’t unique to thermodynamics. But Poncho may be aware of just how universal and powerful thermodynamics is. I’m open to an argument that it’s the most important field of physics. 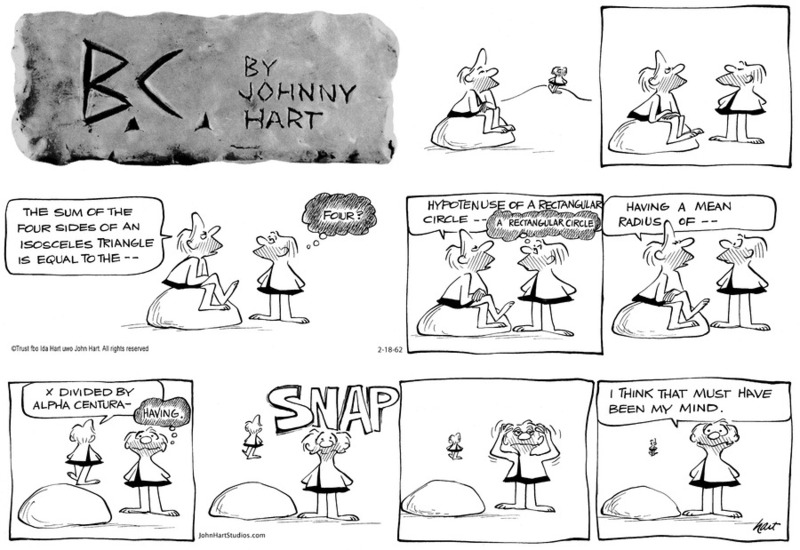 Jonathan Lemon’s Rabbits Against Magic for the 6th is another strip Intro to Calculus instructors can use for their presentation on instantaneous versus average velocities. There’s been a bunch of them recently. I wonder if someone at Comic Strip Master Command got a speeding ticket. Zach Weinersmith’s Saturday Morning Breakfast Cereal for the 6th is about numeric bases. They’re fun to learn about. There’s an arbitrariness in the way we represent concepts. I think we can understand better what kinds of problems seem easy and what kinds seem harder if we write them out different ways. But base eleven is only good for jokes.